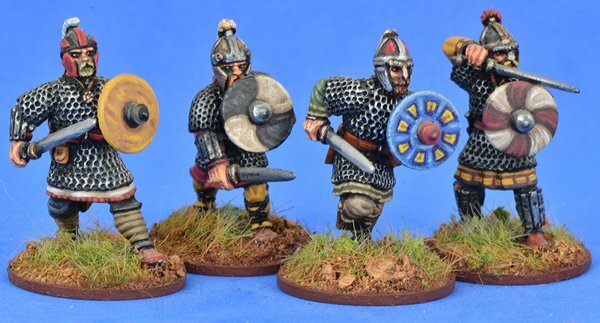 Four Saxon hearthguards on foot. Supplied with weapons & bases. Figures supplied may vary from those illustrated. Sculpted by Soaps.Examples painted by Darren Linington.